I would learn how to bake pandesal. Perhaps because I don't have the equipment and materials to bake. 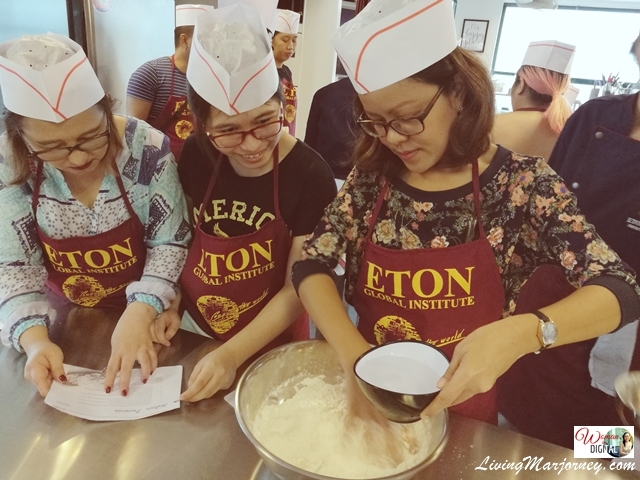 Second, I haven't been to any baking class until I was invited at Eton Global Institute. The invitation was all about Breads and Spread, traditional Filipino breads and spreads to be specific. Eton Global Institute is located in Marzan Building along Dimasalang. 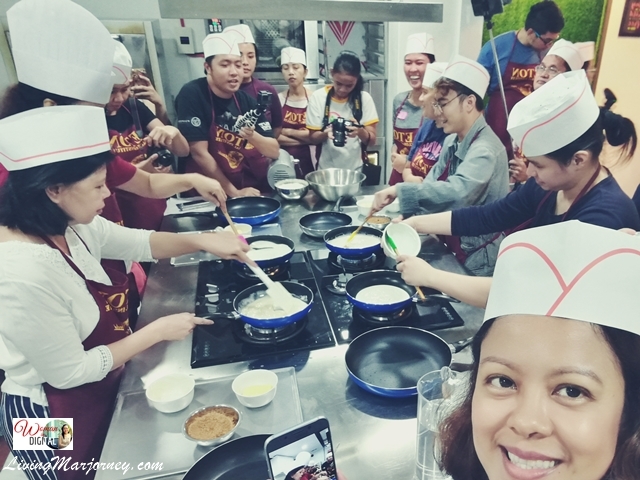 Chef Jacquelyn welcomed me and walked me to the pantry for breakfast while the rest of the group listens to the lecture and demo. Not wanting to miss the discussion, I finished my food in less than 10 minutes. Some baking terms I learned are 'Kneading' and 'Fermentation'. 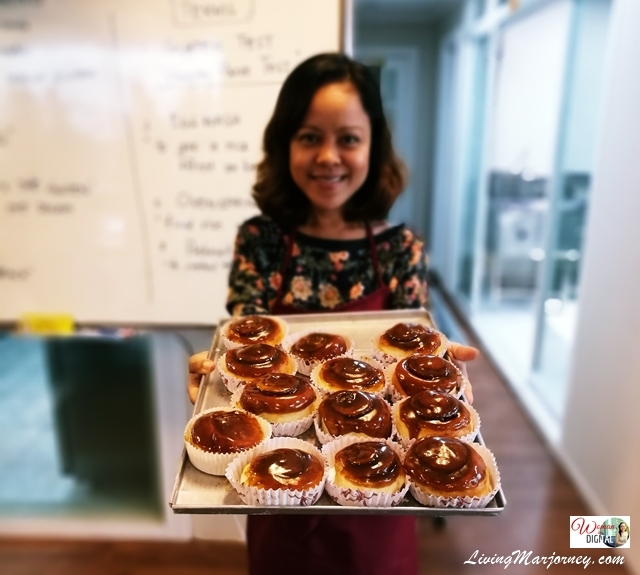 Baking isn't that easy but it was fun and rewarding. This experience has taught me to deeply appreciate our bakers especially those who work in small bakeshops who uses traditional pugon oven. 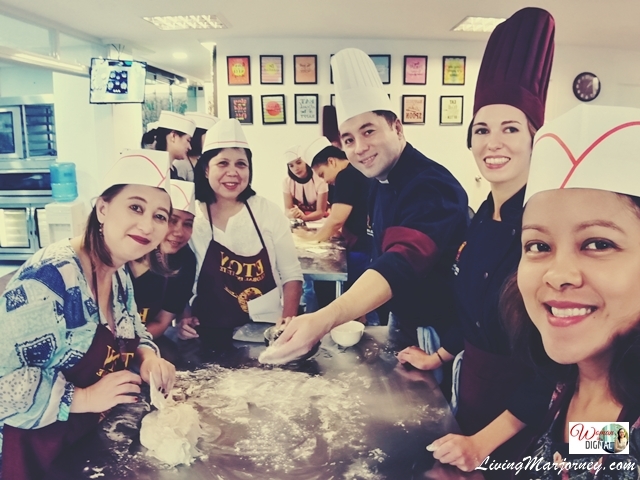 Kneading (pagmamasa) is a procedure in making a dough after mixing the ingredients. Fermentation is a process where you let the dough to rest for a while. 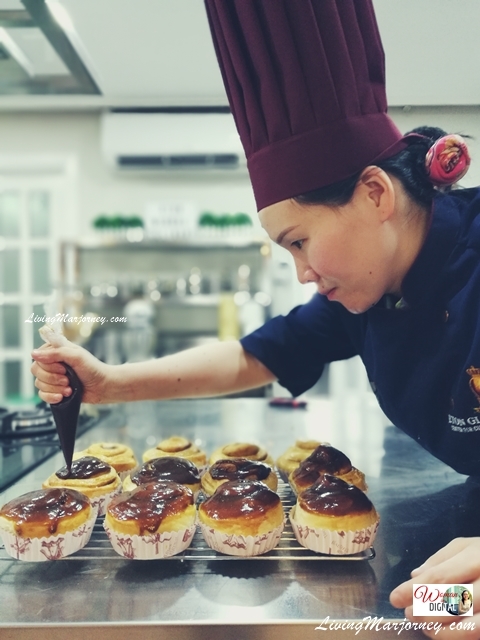 Degassing is the procedure wherein you gently press the dough to release air. I was excited when I found out we're making cinnamon rolls because it's one of my favorite breads. 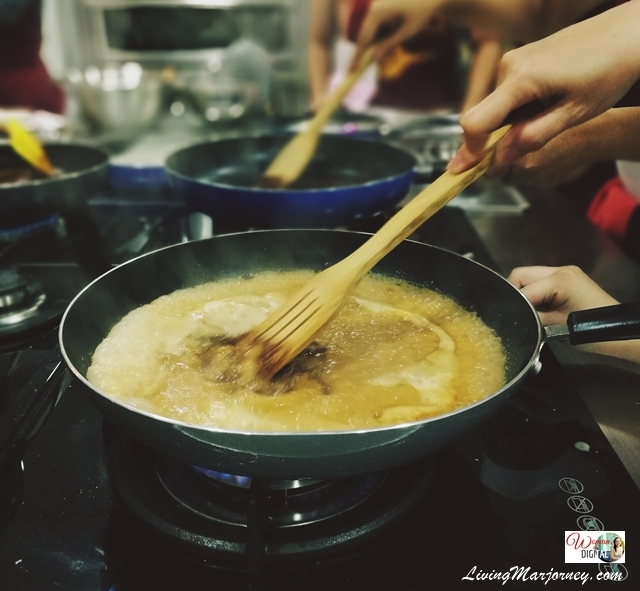 We also taught how to make the cinnamon filling with sweet caramel sauce. It was easy! We also baked Italian Focaccia. Again, I was excited because it's another favorite. Focaccia is perfect for any pasta or many types of spread. It's soft and tasty. 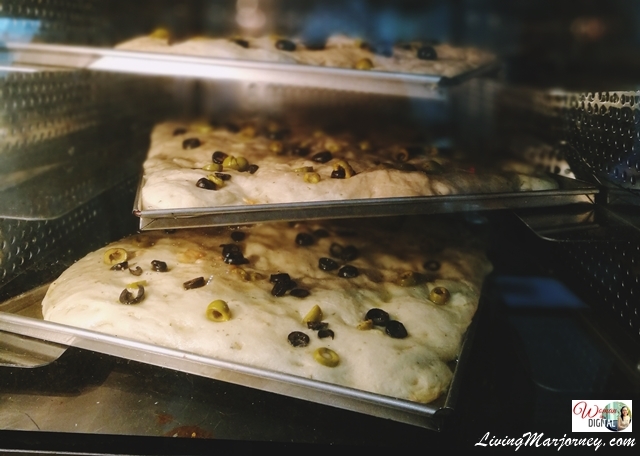 In making focaccia, you need more olive oil, olives and garlic as a garnish. 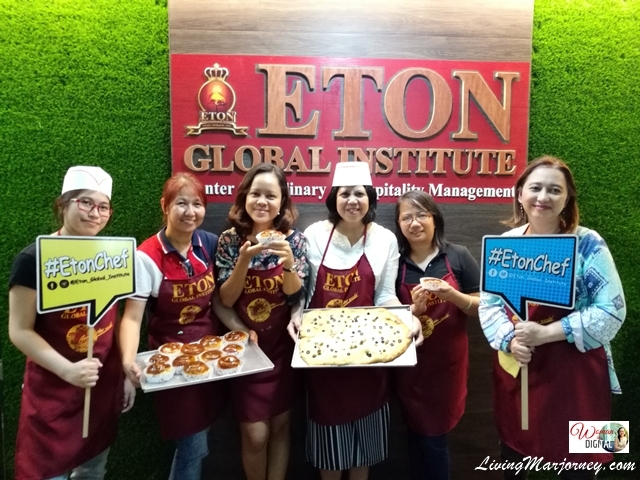 Thank you Eton Global Institute for the learning opportunity. I can't wait to bake my first cake at home. 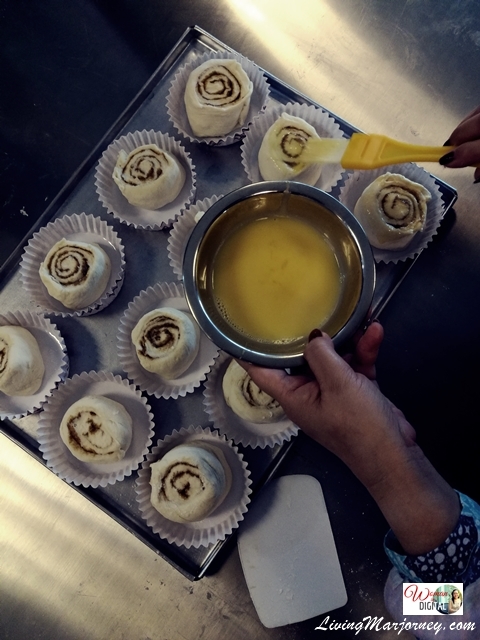 Watch and learn how to bake cinnamon rolls and Italian focaccia. The baking class inspires me to learn more about baking. I never thought I would feel interested in this field. At the moment, I'm in search for the perfect oven for starters like me. Recommendations are most welcome.